I am an avid golfer (this does not mean I am a good golfer). When there is a big tournament on I love going to https://www.fanduel.com/fantasy-golf to take part in Fantasy Golf and I enjoy going golfing most weekends. I am slowly improving but it’s not quite Tiger Woods quality yet! Recently, I picked up Golf Magazine and found an article about professional golfers with ADD and ADHD by Cameron Morfit (click here). It got me to thinking more about the connections between ADD/ADHD and golf. Without a doubt, golf is an excellent comparison to living with ADD/ADHD. 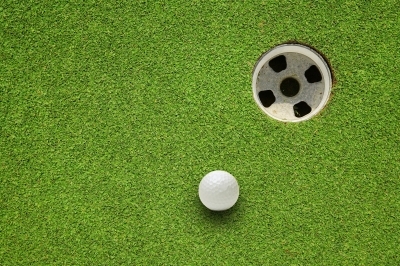 You can hit a great tee and approach shot, then miss two putts. Even though the two original shots were great, the missed putt counts the same as a long drive. On the flip side, you can hit a terrible drive, recover well and get a good score on a hole. Just like with ADD/ADHD, you can start well and end poorly; or you can start poorly and end well. Recently, I went golfing with a young client that was struggling with his game. I worked with him on taking a moment to visualize the thought process behind his shots. Recognize the situation and identify if there was a better approach to his round. This wasn’t a talent issue, but a confidence one. Recognize and understand your strengths and areas for improvement. Enjoy your good moments and learn from your struggles. Despite how frustrating things become, keep working to get better. No matter how good or bad things are going, remember, there are worse places one can be than a golf course!